Scientific subjects such as chemistry and physics are becoming less popular in schools. According to the Economic and Social Research Council, the UK has seen a significant drop in science A-Level students since 2000. Further research, conducted by the Wellcome Trust, has discovered that from the age of 10, many children lose interest in science. What’s also clear is that science’s lack of appeal is prevalent among both boys and girls. The government is attempting to address this decline with initiatives and investment. Other organisations are also running grant schemes that aim to promote the study of science in schools. Any UK school or college with students aged 5 – 18 can apply for an Institute of Physics (IOP) grant. The IOP has established the grants scheme in association with the Science and Technology Facilities Council (STFC). Schools and colleges can receive up to £500. Grant projects must relate to the encouragement and teaching of physics, astronomy, space and particle physics. Examples of successful grant proposals are arranging to visit a physicist; buying relevant resources that a school or college would not normally purchase; and organising an activity for a college or school’s science week. The grants scheme has three application deadlines each year. These are at the beginning of February, June and November. The deadlines refer to summer term, autumn term and spring term projects respectively. In the past few years, the scheme has paid out a quarter of a million pounds worth of grants. These have gone to projects involving more than 94,000 students. At the end of a project, IOP/STFC ask participants to fill out an evaluation form. IOP/STFC use this form when considering any future requests for grant funding. The Scottish Government runs a Science Engagement Grants scheme. The criteria for receiving a grant cover a wide spectrum. To reflect this, individual grants can be worth up to £40,000. 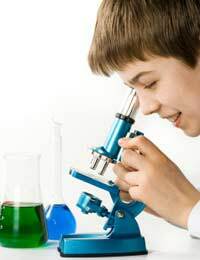 Schools can apply for money from the scheme if they have projects that develop students’ interest in scientific careers. Other projects for schools should include those that broaden students’ practical knowledge of science. One successful project was “Lab in a Lorry Scotland”. The lab in a lorry was a mobile laboratory. It toured 70 schools, and introduced practical physics experiments to hundreds of students across a wide section of the country. The Royal Society’s Partnership Grants are for engineers, teachers and scientists. The idea is to bring together the teaching profession and professional engineers and scientists for the benefit of students. Applications for the grants, which are worth up to £3,000 each, must come from a teacher and a working engineer or scientist. The engineer or scientist must live in the UK and must not have a professional link to the teacher’s school. Suitable partner engineers and scientists include consultants, technicians at research level and PhD students. The application must show the relevance of the engineers or scientist’s qualifications and background to the proposed project. Teachers who are looking for a project partner should make enquiries with large industrial companies, research institutes and universities. Ideally, these should all be in the school’s locality. As with most grant schemes, the Royal Society has a set of assessment criteria for applications. Projects must give students insights into the scientific and engineering professions and show why such work is important. At the same time, teachers should have a chance to learn more about science; and engineers and scientists should have opportunities to improve their skills in promoting their subjects. Project topics should be creative and stimulating. They must appeal to students and be relevant to society. And they should engage students in hands-on activities that develop knowledge and skills. Project proposals must also demonstrate that without the grants, pupils would not have the chance to obtain specific, long-term benefits. Previous partnership projects have featured rocket launching, robots, fossils, composting, perfume and motor racing. I am a studious student in Ghana and wish to get a scholarship into a secondary school in Britain. Thank you.